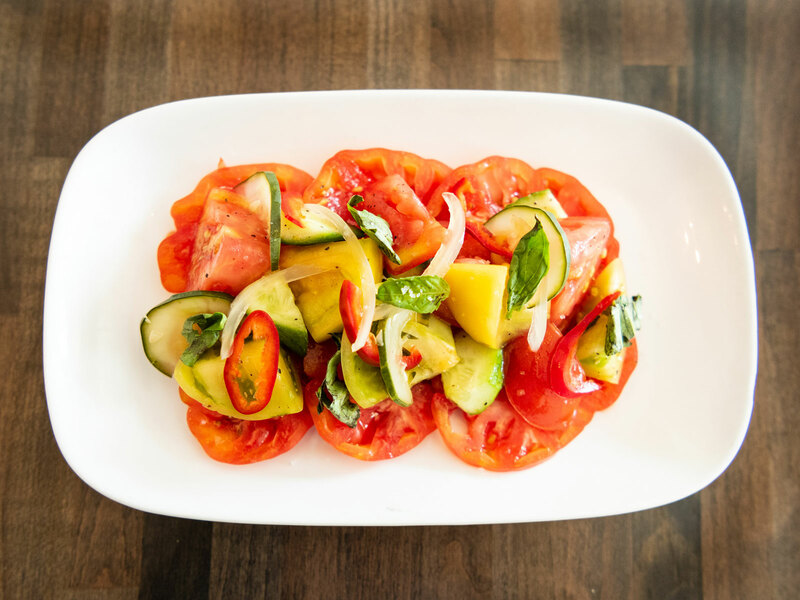 At Emma's Torch and Tanabel, food offers hope to refugees, asylum seekers, and survivors of human trafficking. 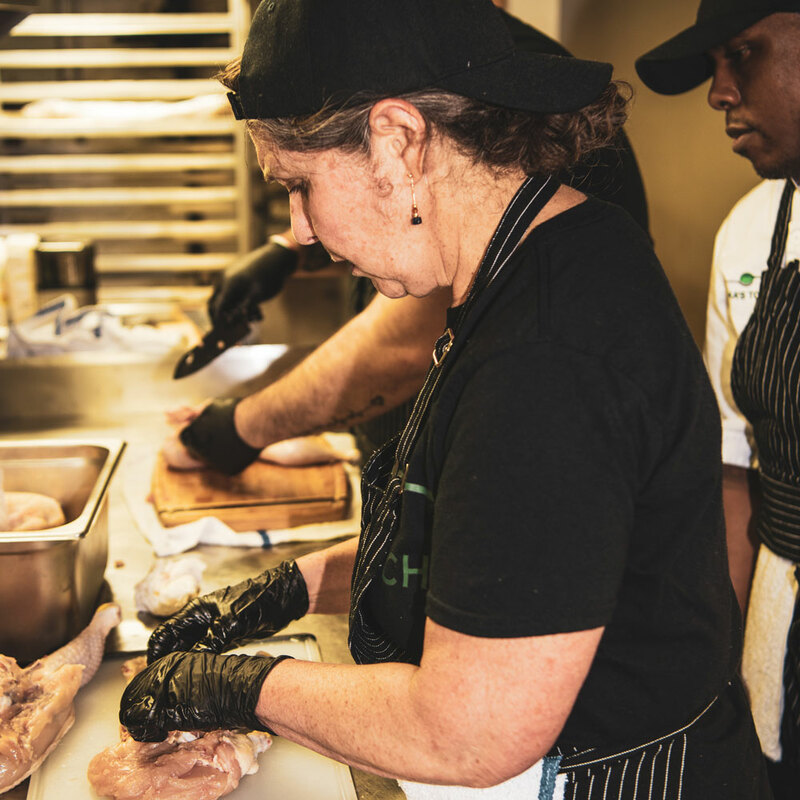 Kerry Brodie has a culinary degree from ICE, but these days—particularly in her line of work—she has to be careful to clarify that she means the "Institute of Culinary Education," not "Immigration and Customs Enforcement." 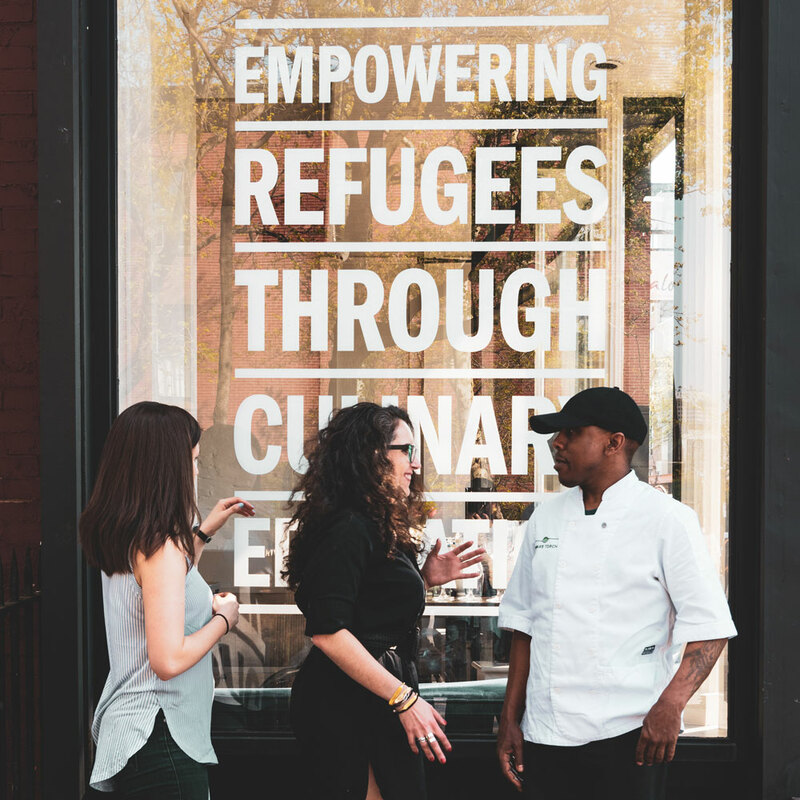 Brodie is the founder of Emma’s Torch, a restaurant and non-profit in Cobble Hill that offers a paid eight-week culinary training program to refugees, asylum seekers, and survivors of human trafficking. Each month they accept four new students to complete their program, the second half of which puts them right on the line in the restaurant kitchen. Afterwards, Emma’s Torch helps the students secure jobs. Though still in its nascence, the trajectory of their first twelve graduates is promising with placements at such high-profile restaurants as The Dutch and Marc Forgione. Though times have changed, Brodie’s motivation has not. “My reason and the reason that I feel so strongly about the work we’re doing is I think that if you look historically at refugee re-settlement in the US—whether it was Russians coming over in the 1880s or refugees from the Middle East coming in now—the most powerful thing that we can do is make sure that they feel like they are part of the community and that voters and people involved in decision-making realize that refugees are not an ‘other,’" she says. "They’re actually a part of our community; they’re part of what makes us so special; they’re part of why you want to live in a city; they’re part of why you want to be a part of something." With some 3.3 million immigrants, New York City is home to more foreign-born people than anywhere else in the US. Immigrants make up about 40% of the city’s population, and it’s no secret that they power our restaurants: 69% of chefs and cooks in NYC are immigrants, according to the 2015 American Community Survey. Brodie, then, is not alone in her efforts to use food as a means by which to empower—and employ—refugees in the Big Apple. Hannah Goldberg founded Tanabel just over a year ago, which offers catering, pop-up dinners, cooking classes and, soon, a line of prepared foods all made by refugee women. Goldberg had been doing refugee-related work through her local temple in response to the election when she came up with the idea. Goldberg currently works with a handful of women from Syria, Iraq, and Afghanistan. Recent events have included a ladies-only Iraqi cooking class featuring homemade kubbeh, a Syrian Christmas dinner, and an Eid al-Fitr celebration. Goldberg hopes that their line of prepared foods can go beyond hummus and baba ghanouj to introduce Americans to regional specialties like carrot and candied eggplant jams. They're planning to debut some of their products at city food markets this summer. Emma’s Torch and Tanabel both work with refugee resettlement organizations in the area, who send food-focused candidates their way. The movement to amplify the voices—and foods—of refugees in New York City is strong. Eat Offbeat is another catering company that employees refugees and focuses on serving underrepresented foods to the masses. And the Refugee Food Festival, which took place over three days earlier this month, had restaurants open their kitchens refugee chefs who prepared special menus for the occasion. Brodie concurs, and says that there’s plenty of room for a multitude of businesses to occupy this space. For example, they are supported by a number of companies (Burlap & Barrel donates all the spices while Korin provides the knives) and in turn Emma’s Torch uses their buying power to support likeminded businesses (they source all their bread from Hot Bread Kitchen). And as refugees continue to make headlines in the US, these sorts of grassroots efforts have an important role to play on the local level, as well.